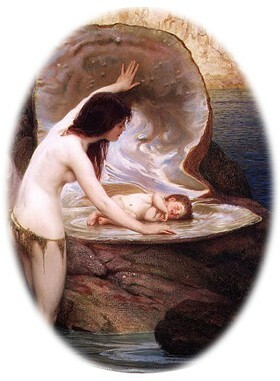 A Water Baby, by Herbert James Draper, 1900. To anyone familiar with astrology, recent events, however shocking, make perfect sense. A couple of days ago, I read an essay on Counterpunch by Israeli writer and peace activist Uri Avnery on the situation in Egypt. Avnery starts out by declaring the 1968 cultural revolution in Paris as the forerunner of events all over the world today. He goes on to ask, “Why now? Why in so many totally different countries? Why in Brazil, Turkey and Egypt at the same time?” He considers the possibility that it’s something in the Zeitgeist – the spirit of the age – but concludes that it’s more likely a result of instant communications via television and the social media. It’s really too bad that academics dismiss astrology. Otherwise they’d understand the outer planetary cycles underneath the dramatic events taking place in our time, which we indeed can trace back to the Uranus-Pluto conjunction in the mid-1960s. I’ve been thinking a lot about these outer cycles, especially as they pertain to repeating patterns in history. I’ve been working under a theory that the “apocalypse” is a lifting of the veil, and that the “veil” is the mechanism in our brains that limits our perception to this particular place in space and time (which we call “reality”). As our perception broadens to include other dimensions of reality, it’s as though the actions of our past are a legion of demons escaping from hell. I can’t think of anything happening today that doesn’t have a parallel in human history – our collective past. With so much violence and unrest in the world, it’s hard to believe that the positive aspects on the way over the next few weeks will have much of an effect, especially since they are relatively short compared with the astrological signature behind the upheavals. Not to sound like a Pollyanna, but I do believe that the approaching grand water trine heralds some strongly positive developments to counterbalance all the chaos. And while it’s true that the trine will start dissipating by late July, giving way to an even stronger conflicting configuration, I nevertheless believe that it can have some far-reaching effects, both globally and individually. That’s why it’s so important to take advantage of this short window, which also includes Monday’s New Moon in Cancer. 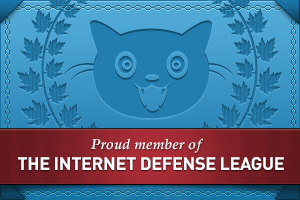 Before I discuss this week’s aspects, I want to mention one important factor in the chaotic events of the past week. In last week’s forecast, I mentioned that the T-square formed by the Sun, Uranus, and Pluto would provide a glimpse of events during the more energetic T-square with Jupiter in mid-August. It’s a pretty safe bet that the violence is going to escalate. However, Saturn’s station retrograde gave the past week a powerful punch that will be waning by August. Unfortunately, Saturn’s station will be felt for another week or so, as he returns direct on Monday. Saturn’s return direct can coincide with dramatic events, especially the destruction of infrastructure. But it can apply to societal structures as well. As I wrote last week, Saturn in Scorpio can represent structures that are rotten and ready to break down. Given the mutual reception between Saturn and Pluto, Saturn’s station feeds a blast of energy into the Uranus-Pluto square, which last week was temporarily a T-square. Nowhere was that more evident than in the ousting of Egyptian President Mohamed Morsi. Mercury retrograde can account for some of the false news reports and communications difficulties among competing factions, but I attribute the overall failure to install the kind of democratic government demanded by the Egyptian people to this strange combination of Saturn in Scorpio and Pluto in Capricorn. It’s as if a new structure is torn down almost as soon as it is built. The good news there is that there is plenty of room for experimentation. Using Egypt as an example, a popular uprising resulted in the resignation of Mubarak in February 2011 and the creation of a new government that in theory was supposed to replace a dictatorship with a democracy. It didn’t quite work out that way, and rather than waiting for elections, millions of people took to the streets declaring that the experiment had failed and that they needed to start over. Although attempts to form a new government are faltering, I see the grand trine as a ray of hope that they might succeed. Likewise, we have a short window to find creative solutions to longstanding conflicts in our personal lives. You do need to put some effort into it, and you need to be clear about your overall goals. 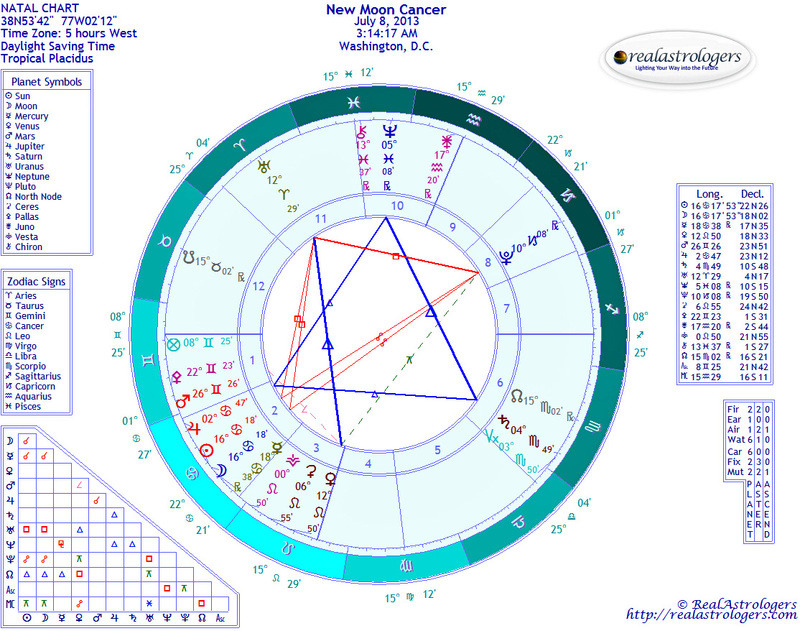 Saturn returns direct just two hours before Monday’s New Moon in Cancer. You can easily see the grand water trine becoming more exact (the blue triangle), even as Jupiter approaches an exact square with Uranus and Pluto (the red triangle). I read this as a clear and straightforward message: Through conflict and breaking down what is no longer working, opportunities arise for new ways to live and interact with each other in a spirit of community and cooperation. Connecting to the natural world is part of the equation. At the New Moon, Mercury is conjunct the Sun by two degrees (exact on Tuesday), and he’s exactly halfway through his retrograde cycle. This is often when we start feeling the retrograde the most, so do take extra care this week, especially at home. Back up your computer data, and if you’re running extra air conditioning, be sure you don’t overload the circuits. Unfortunately, I don’t have any good advice for how not to blow an emotional fuse. Be clear in your communications. To do that, you need to be clear with yourself about how you feel. If you’re confused or unsure, postpone discussions until after Mercury returns direct on July 20. That’s a long wait, so do let others know you need more time rather than just staying silent. It’s a sure bet that someone will misunderstand your silence for lack of concern or worse. On Saturday, Mars enters Cancer and approaches conjunction with Jupiter. Although Mars isn’t at his best in the sign of the Crab, he’ll give some extra energy to the Jupiter leg of the grand trine. This is mostly good news, but I do hold out a bit of concern that the grand water trine could coincide with severe storms and flooding. With so much upsetting news in the headlines, it may seem frivolous to pay any attention to celebrity news, but I do want to mention that we’re getting close to the birth of the first child of the William and Kate. The official due date for Baby Cambridge is July 13, but reporters already are staking out their ground and taking absurd measures to make sure they don’t miss any detail of the story. I wouldn’t assign much significance to this event if it weren’t for the extraordinary chart this child will have – a chart that all children born around this time will share. These water babies will reach maturity in the 2030s and will leave a very distinct mark on the world. Baby Cambridge likely will have a major impact on the UK government. This entry was posted in Forecasts and tagged Cancer, celebrity astrology, grand water trine 2013, mundane astrology, New Moon in Cancer, Uranus-Pluto square on July 7, 2013 by Pat. So much energy and “stuff” going round for everyone right now. For people that can understand the larger picture, we have some edge I think, hope. Still difficult, but at least we have a head’s up into the chaos. I can’t imagine people who don’t! How do they order their daily lives right now? I love your scopes–insightful, honest & they always add perspective to my world. Thanks!